When an owner or commercial lease tenant hires an architect, designer or contractor to work on a construction project, the contract documents presented will likely be based on a standard form created by The American Institute of Architects (AIA). These form contracts, although certainly not devoid of utility value, have been crafted, published and promoted by a huge, nationally renowned industry group. As such, they are designed to protect the interests of architects and to some degree by extension contractors, in their contractual relationships. Despite this obvious bias, it never ceases to amaze me that even the most sophisticated business operator or owner will readily agree to the language in the these standard form contracts without the slightest revision or supplementation. This is often the case even when AIA Document A201-2007 (General Conditions), a 40-page recitation of boilerplate terms and conditions (commonly referred to in circles outside the legal profession as “legal mumbo jumbo”) is incorporated by reference into an AIA form construction contract. I am equally amazed, but admittedly much more amused, when contractors and architects (or their respective counsel) balk at an owner (or owner’s counsel) proposing to make any changes to the standard form, protesting that such an idea will only serve to cause the much dreaded “unnecessary delay” because the form represents the “industry standard” that “everyo ne uses”. So what’s the bottom line? Before an owner or commercial lease tenant is lulled into the convenience of signing a standard form construction contract without question, without delay, and without any input whatsoever from their legal counsel, they should ask themselves, “Does standard mean fair?” Below are just 5 reasons for an owner to pick up the phone to ask an attorney that question, and ultimately – request a review of the standard form construction contract presented by the contractor or architect before its construction project begins. Reason #1: Time is money. Neither promises, nor contractual obligations, should be made to be broken. 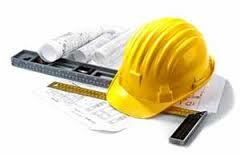 If failure to complete the work on time will have a significant financial impact on the owner or commercial tenant, suitable remedies to the owner to minimize such costs, or incentives to the contractor to meet the deadlines, should definitely be included in the construction contract. Notably, the standard form AIA Documents A101-2007, A102-2007 (by incorporation of the A201-2007), or the A107-2007 do not provide for any specified damages for the contractor’s failure to deliver the project on time. The AIA standard forms do, however, include an owner waiver of any right to recover any kind of consequential damages against contractor. Unless revised, by signing an AIA standard form contract, an owner will also be waiving its right to later withhold or offset such damages resulting from the contractor’s unexcused delay from any amounts allegedly due contractor under the contract..
Reason #2: Money is an object. The primary AIA forms used in commercial construction are (a) Lump Sum/Fixed Price (A101), (b) Guaranteed Maximum Price (A102), (c) Project of Limited Scope (A107), and possibly (d) Construction Management Where Construction Manager is also the Contractor (A121 CMc). There are pitfalls in using any of these forms, and if an owner is interested in the project finishing on budget, it should be aware that there are a fair amount of holes in these forms that must be plugged to prevent the contractor’s compensation from exceeding a “stipulated sum”, or Lump Sum or Guaranteed Maximum Price (GMP). Despite verbal discussions the parties may have regarding allowances or approved alternatives, when an owner enters into a Lump Sum Contract (A101) with the contractor, the owner is required to pay the lump sum price, regardless of whether the contractor’s actual costs are more or less than the lump sum. In a GMP Contract the owner pays for the actual “Cost of the Work”, plus a fee for overhead and profit. Consequently, limiting the allowed Cost of the Work in a GMP Contract is critical. Other revisions and expansions in the standard forms that concern “Allowances,” “Costs Not To Be Reimbursed,” “Change Orders” and “Progress Payments” should be pursued by owner’s counsel. The contractor will also typically include a schedule of “Clarifications and Qualifications” concerning the basis upon which contractor determined the “Contract Sum” and the “Contract Time”. This schedule creates significant openings for the contractor to make claims upon owner for additional time and compensation, and should therefore be carefully scrutinized. Reason #3: Can we all get along? When push leads to shove, the risk of delaying a project will often force an owner to make unfair concessions during construction, even when the contractor may be in breach under the construction contract. Notably, if a dispute arises between the owner and the contractor along the way, the AIA form construction contracts require the parties to submit to mediation before pursuing either arbitration, or litigation – whichever box is checked on the form. Mediation may sound reasonable initially, but for an owner playing “beat the clock”, spending additional time, money and resources to meet a requirement to participate in a non-binding dispute resolution process will not seem so appealing later. An owner should supplement the AIA standard forms with contractual provisions contemplating use of mediation as a condition precedent only when the parties agree to it later. The inclusion of certain stipulations permitting continuation of the project pending formal resolution of some types of disputes should also be negotiated. Reason #4: It ain’t over ’til it’s over. The contractor deserves to be paid, but when and what— particularly when the project is not yet substantially complete? An owner should be aware that problems adversely affecting the project’s schedule can arise later due to the fact that minimal documentation is required under the AIA standard forms for interim progress payments. For example, the lack of a requirement to provide lien waivers from the contractor and subcontractors can cause headaches for an owner, particularly if there is a lender who will not release funds for constructions costs without waivers. A contractor won’t object too strenuously to suggested lien waivers, but the content of the form should be ironed out on the front end, and incorporated into the construction contract to avoid confusion or pitfalls later. Additional “owner-friendly” provisions concerning contractor performance and warranties will also need to be added to the AIA standard form construction contracts. These recommended provisions should address issues such as owner’s approval of work performed, a reasonable retainage, or hold back on payment requests (typically 10%) to insure completion of all items, including ‘punchlist items’, the allocation of costs for corrections for errors, and adjusting compensation that might be owed to the contractor if the owner terminates the contract. , the AIA standard forms grant the architect ownership and copyrights of all drawings and plans, and empower the architect to approve payment applications, change orders and make initial decisions regarding disputes between the owner and contractor. The significant level of authority and responsibility granted to the architect may not only prove to be disadvantageous for the owner, but may contradict the terms of any separate agreement between owner and architect. It is more likely than not in most cases that some bare minimum revisions to the AIA standard form construction contracts will be necessary if the owner wishes to reserve appropriate decision making powers during the pendency of the project, and to properly integrate and harmonize the terms set forth in the construction contract, architect agreement and related contract documents. Sharon M. Lewonski is a partner in Culhane Meadow’s Atlanta office and Chair of the firm’s Real Estate Practice Group, where she primarily focuses her practice on assisting clients on matters concerning the financing, acquisition, development, marketing, management, and disposition of income-generating real estate assets.